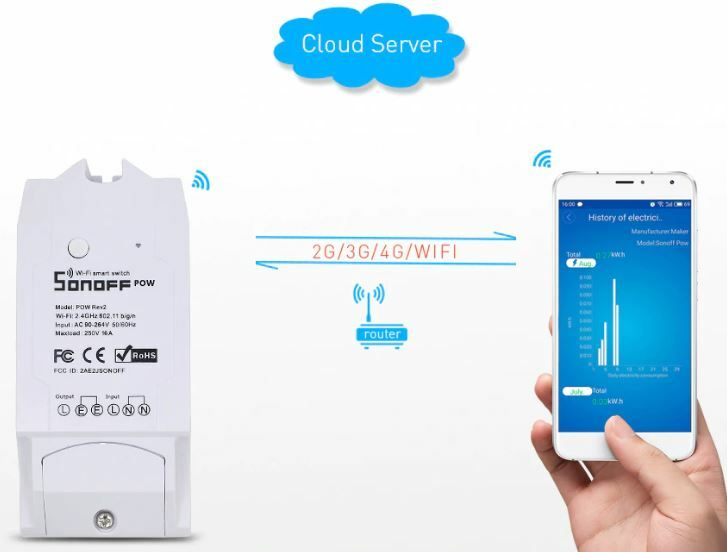 Sonoff Pow R2 16A 3500W Wifi Smart Home Switch with power consumption meter. 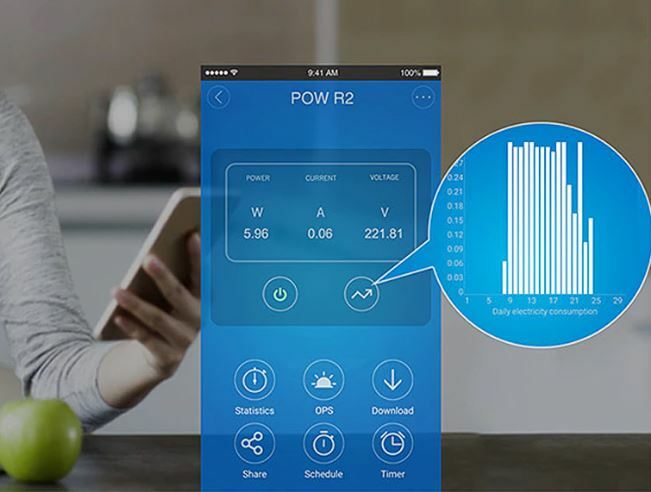 Using the eWeLink App, you can control the connected devices or lamps from your Smartphone while measuring power consumption. Everything is controlled via the eWelink app, which can be downloaded for free to Android and Iphone. 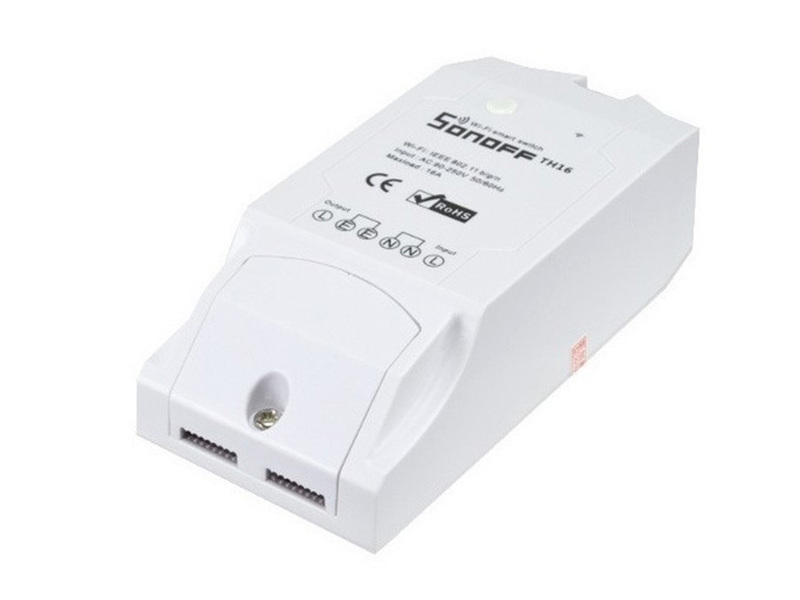 Switch you appliances or light ON/OFF via the smartphone eWeeLink App.